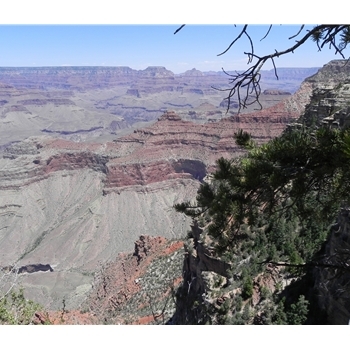 Take this easy stroll along the South Rim of the Grand Canyon. Features and Interests: Biggest hole in the ground! :-) 2 billion years of geologic history exposed in front of you. Trail Description This is a easy and paved trail that takes you along the rim of the Grand Canyon. Being very picturesque and educational (has geologic information/stations every few yards) it's a great trail for the family or those looking for an easy going walk.